Dr. Gurnaz has completed his MBBS from SIMS and his DNB(General Surgery) from S.R.G.S. Medical College New Delhi. He is expertise in all kind of surgery. He is working as Senior Consultant department of Surgery, for more than 7 years with JP Super Specialty Hospital. He also has special interest in gastrointestinal, liver-pancreas-gall bladder & biliary, colorectal and laparoscopic surgery. He has expertise in minimal invasive/laparoscopic surgeries as well. He has vast experience and performed hundreds of inguinal hernias under local anesthesia. 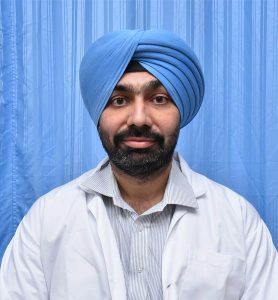 He has performed more than 1000 surgeries till date.